The Geneva Swedish Days 2013 is scheduled to start June 18 this year and end on Sunday June 21. This will be the 64th year the Geneva chamber of commerce has organized the Swedish Days Festival and is presented by Cadence Health. Swedish Days has its origin with the Swedish Day Midsummer festival which has been held in Geneva since 1911. Swedish Day is held on the third Sunday of June every year at Good Templar Park off of East Side Drive in Geneva. The Swedish Day 2013 Festival is organized by the International Order of Good Templar’s. The gates open at 9am and there is a $5 fee for anyone over the age 0f 12. There are events planned all day including live music, crafts, presentations, and Swedish cultural events. 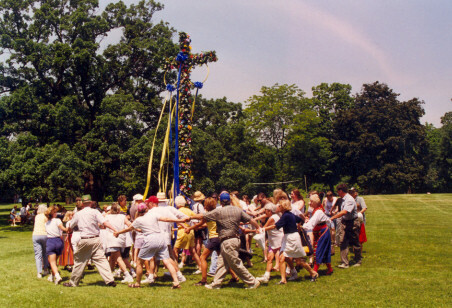 Raising of the Maypole occurs at 12pm. Good Templar Park is home to a full scale replica of a 9th Century Viking Ship which you can tour during the festival for a $3 fee. 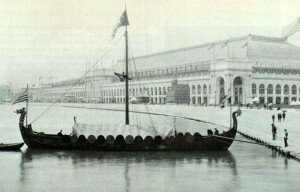 This ship was built and sailed across the Atlantic Ocean for the 1893 Worlds Colombian Exposition that was held that year in Chicago. The 1893 Worlds Colombian Exposition was a huge event in Chicago and ran from May 1, 1893 to October 30, 1893 and was themed on the 400th anniversary of Columbus’ discovery of the Americas. The exposition area was built around what is now the University of Chicago Campus and the area where the Museum of Science and Industry sits. The Museum of Science and Industry is the only surviving large hall in its original spot from the Colombian Exposition. The area was called the white city because of the extensive use of white stucco on the buildings and the large number of electric powered street lamps used to illuminate the area at night. George Ferris displayed his first Ferris Wheel at this exposition and electricity was prominently displayed at the fair. The very first night time football game was played at the exposition. Displays for the 1893 Exposition were built by companies and by countries all over the world to showcase their country or contribution to the world. 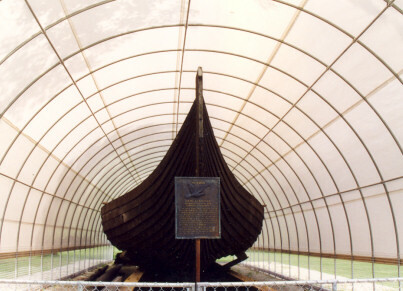 The Viking ship was built in Norway kind of as a response to Spain building and sailing replicas of Columbus’ ships the Nina, Pinta, and Santa Maria. 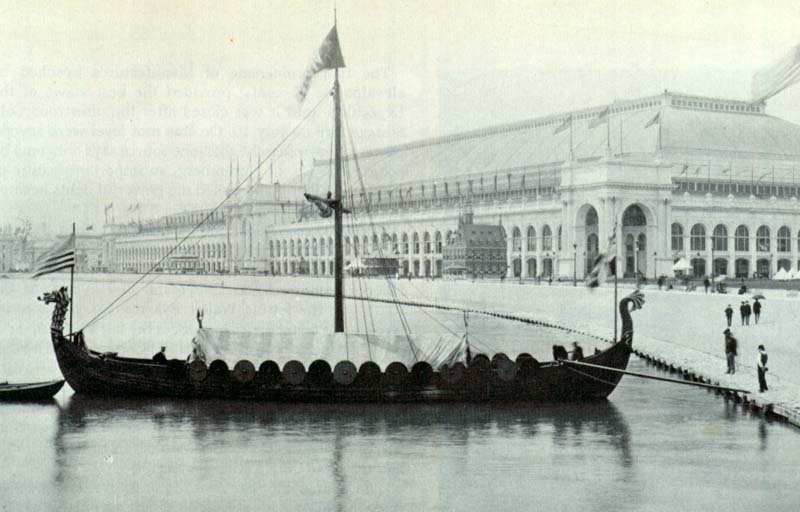 The Viking ship was a big hit at the exposition and at the fair’s completion was taken to New Orleans so it could sail around Florida and up the east coast. The ship never left New Orleans and was returned to the Exposition site were it sat next to the MSI building until it was moved to Lincoln Park in 1920. It was moved to Good Templar Park in around 1996 for restoration and display. If you want to see the original midsummer festival head over to Good Templar Park on June 21. Be sure to take some time to view the Viking ship while not an original 9th Century ship it has it’s own unique history.